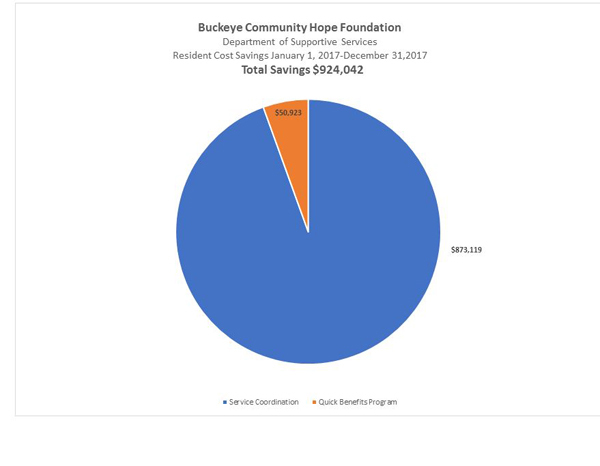 BCHF Service Coordinators track the savings they provide for residents through monthly reporting. Every service a Service Coordinator arranges, services such as Meals on Wheels or PASSPORT, has a value attached to it. Cost savings to the residents trickles down to cost savings to the management company as the resident is less in danger of not being able to afford their rent or pay their utilities. Every year a resident ages in place in an apartment community also translates to savings to the state as home care is considerably cheaper than institutional care. Service Coordinators and Managers work closely together as a team to provide the best services possible to their community’s residents. By referring to service coordinators, the manager opens the door to community services with confidentiality, the key to establishing trust between all parties.